The factional battles ravaging the Apostolic Faith Mission (AFM) church has taken yet another nasty turn, this time with a group of pastors aligned to the Rev Cosam Chiyangwa’s camp petitioning the Minister of Justice Legal and Parliamentary Affairs, Ziyambi Ziyambi over what they consider to be non-objective handling of their cases at the Masvingo Magistrates’ Court. The pastors claim that some officials at the court are AFM members who are now caught in a conflict of interest which has seen them taking sides in the legal suits. The church has 39 ordained pastors in the province, the majority of whom identify with Chiyangwa, who leads a rebellion against attempts by Rev Aspher Madziire and Rev Amon Madawu’s fervent attempts to introduce constitutional reforms that would drastically reduce the power of pastors and give elders more leeway in church business. At national level, the case of the two factions’ claim to legitimacy is before the high court but locally, a myriad of lesser cases have been before the magistrates’ court. TellZim News saw a letter, dated January 10, 2019 and addressed to Ziyambi, and copied to Minister of State for Masvingo Provincial Affairs Ezra Chadzamira and Masvingo Provincial Magistrate Langton Ndokera in which the pastors, under the banners of the AFM Masvingo Provincial Pastors Forum, express serious misgivings about the neutrality of the magistrates’ court. 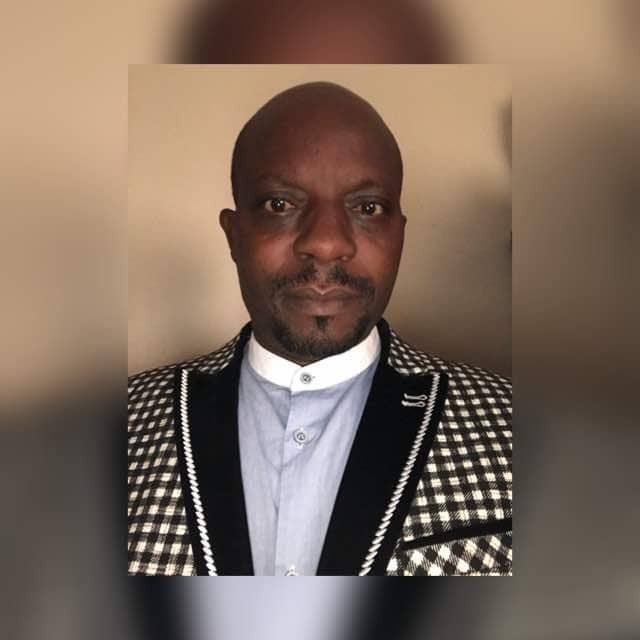 The aggrieved pastors, who include Masvingo overseer Rev Donard Ndoni, Rev Elias Jinjika of Judea assembly (Runyararo West) and Rev Gilbert Charumbira of Greater Grace assembly (Rujeko), are being represented by lawyers from Saratoga and Makausi Law Chambers. They claim that the court issued a number of dubious judgements that give undue favour to the reform faction. When contacted for comment, Ndokera only acknowledged having received the letter but refused to comment, saying only authorities in Harare could do so. “We are doing our jobs to the best of our abilities and in the best interest of justice. You can get a comment from our superiors in Harare,” said Ndokera. Between November and December 2018, the Masvingo AFM reform faction served 33 pastors of the anti-faction with dismissal letters, but the purported dismissals were ignored as the issue of legitimacy was still pending in the high court. The reform faction also approached the Masvingo Magistrates’ Court and obtained ex parte interdicts against over a dozen pastors, barring them from carrying out their duties and using church property. On November 08, the reform faction had obtained another ex parte interdict barring the anti-reform faction from going ahead with a three-day provincial conference organised at the church’s provincial centre in Mucheke. The conference, however, went ahead reportedly because the interdict contained gross errors. “The first case on the interdict (Case Number INT 76 18) barring the Anti-Reform from holding their conference was heard on 20 November 2018 and the judgement was to be delivered on 10 December 2018 but unfortunately it was not ready on the said date. Repeated efforts were done by our lawyers to get the judgement from the Clerk of Court as promised but that was to no avail. “Despite our lawyers not receiving the judgement, the lawyers from the Reform side, arguing a case on the Second Case of interdicts heard on 08 January 2019, cited that judgement to the surprise of everyone who was waiting for it. This proved that the Reform side had received the judgement while the Anti-Reform side was still pursuing that Judgement. The Reform lawyers had enough time to study and use it as their base of argument on the interdicts trial while the other had not received the judgment. “After the court session, the Anti-Reform lawyers went to request for the judgement. On receiving the judgement, there are fundamental errors (sic) that show it was not done diligently,” part of the document reads. The errors, according to the document, were that the place at which the hearing took place is different, the number of cited respondents were inaccurate and that the judgement gave the reform faction control of assets despite acknowledging the existence of the legitimacy dispute. “The judgement did not have reasons why the interdict was granted and this has resulted in the Anti-Reform pastors not being able to launch an appeal and are still waiting for the reasons,” the document reads. On the (second) case of interdicts which was due on December 21, 2018, the reform faction is said to have simply sent their lawyers to ask for a postponement which they were granted. “Anti-Reform lawyers requested for a written judgement so that after studying the reasons, provided, see if it was necessary to launch an appeal with the High Court. He was promised that he would receive it but to no avail. The lawyers proceeded to write a letter to the Magistrate Court requesting for the judgement but to no avail until the 08th of January 2019 when the case was heard. In this case the Masvingo Magistrate Court has robbed (the) Pastors the right to appeal to the High Court since they did not have a written judgement with reasons why the case could be heard on that day. Until now the judgement is still not available…The pastors are of the view that…the judgment itself was not substantive and there were no enough reasons to support it. Also, it was meant to delay the process until the 8th of January 2019,” the document further reads. The pastors also accuse an unnamed magistrate of dubiously recusing himself from a case he was supposed to finalise as a way of sabotaging the anti-reform faction. “Another worrying factor is that some officials at the Masvingo Magistrate Court are members of AFM church in Zimbabwe and in the said dispute are believed to be aligned to the Reform side. This puts them as interested parties….One of the Magistrate (sic), the lawyer of the Reform side and the most active members of the Reform side are from the same AFM assembly in Masvingo. “Given the above arguments, we are of the opinion that the Masvingo Magistrate Court is siding with one party through corrupt tendencies or other reasons best known to them,” the document reads.